Bedtime is one of the most important parts of every child’s day, and every parent wants it to be a warm and pleasant experience. 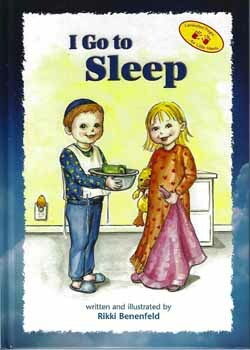 In I Go to Sleep, a young brother and sister enjoy the comfort of their evening routine: putting things away, brushing teeth, preparing negel vasser, hugs, kisses, and saying Shema. As they settle down for sleep, they think happy thoughts about all the mitzvos they did throughout the day.